Promotional Information Presents case studies from around the world on long-distance exchange of different materials including obsidian, ceramics, and basalt, focusing on interpretation of the data to understand interactions between prehistoric groups. Glascock More than Exchange: Pre-Ceramic through Ceramic Period Obsidian Studies in the Greater North American Southwest by M. Clark, and Hector Neff Exploring the Landscapes of Long-Distance Exchange: Evidence from Obsidian Cliffs and Devils Tower, Wyoming by Brian Leigh Molyneaux From Loess Plains to High Plains: The Westward Movement of Upper Republican Pots by Anne M. By examining the types and quantities of goods exchanged, along with the directions and distances they moved, archaeologists are able to examine the dynamic properties of exchange systems, i. Glascock More than Exchange: Pre-Ceramic through Ceramic Period Obsidian Studies in the Greater North American Southwest by M.
Weisler Index About the Editor and Contributors About the Author Michael D. Geochemical Evidence for Long-Distance Exchange by Michael D. Glascock Indigena Ware: Spain to Valley of Mexico by Enrique Rodriquez-Alegria The Emergence of market Economies in the Ancient Maya World: Obsidian Exchange in Terminal Classic Yucatan, Mexico by Geoffrey E. Steven Shackley Archaeological Evidence for the Long-Distance Exchange of Caddo Indian Ceramics in the Southern Plains, Midwest, and Southeastern United States by Timothy K. Glascock Indigena Ware: Spain to Valley of Mexico by Enrique Rodriquez-Alegria The Emergence of market Economies in the Ancient Maya World: Obsidian Exchange in Terminal Classic Yucatan, Mexico by Geoffrey E.
Table of Contents Introduction: Geochemical Evidence for Long-Distance Exchange by Michael D. Glascock Centrality and the Collapse of Long-Distance Voyaging in East Polynesia by Marshall I. 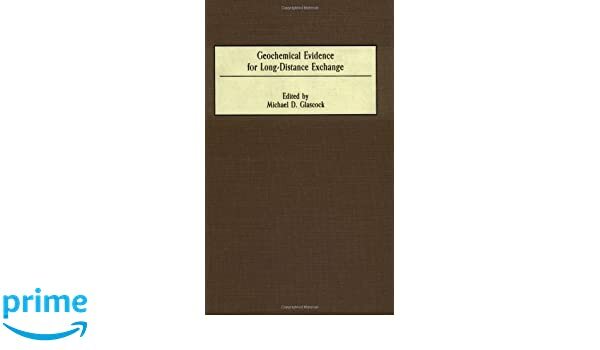 The purpose of this volume is to present a number of case studies of long-distance exchange from around the world which demonstrate the use of geochemical analysis of artifacts to find evidence of exchange. 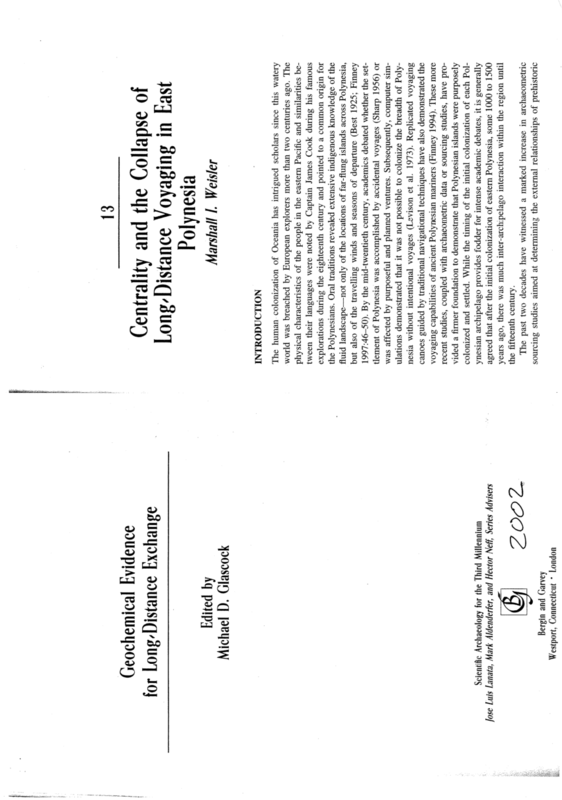 Perttula Production and Long-Distance Movement of Chupadero Black-on-White Pottery in New Mexico and Texas by Darrell G. Pereyra A Geochemical Vector for Trade: Cyprus, Asia Minor, and the Roman East by Danielle A. Pereyra A Geochemical Vector for Trade: Cyprus, Asia Minor, and the Roman East by Danielle A. Roper Long-Distance Obsidian Traffic in Northwestern Argentina by Hugo D.
Presents case studies from around the world on long-distance exchange of different materials including obsidian, ceramics, and basalt, focusing on interpretation of the data to understand interactions between prehistoric groups. 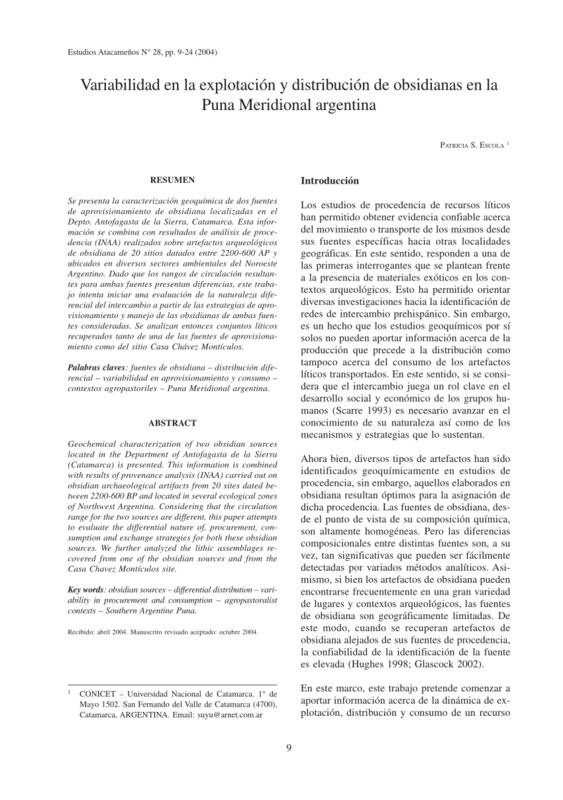 Escola, Marisa Lazzari, and Fernando X. Glascock More than Exchange: Pre-Ceramic through Ceramic Period Obsidian Studies in the Greater North American Southwest by M. Weisler Index About the Editor and Contributors. Studies of prehistoric exchange of goods provide information about the types of economic interaction, social organization, or political structures in which prehistoric peoples were engaged. Steven Shackley Archaeological Evidence for the Long-Distance Exchange of Caddo Indian Ceramics in the Southern Plains, Midwest, and Southeastern United States by Timothy K. WeislerIndexAbout the Editor and Contributors. Steven Shackley Archaeological Evidence for the Long-Distance Exchange of Caddo Indian Ceramics in the Southern Plains, Midwest, and Southeastern United States by Timothy K. Pereyra A Geochemical Vector for Trade: Cyprus, Asia Minor, and the Roman East by Danielle A. 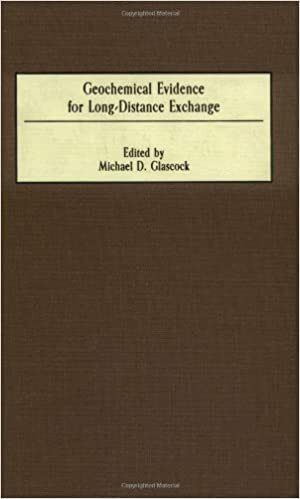 Long-distance exchange is a special situation where the materials exchanged crossed significant boundaries, whether they were geographic, social, political, or otherwise. 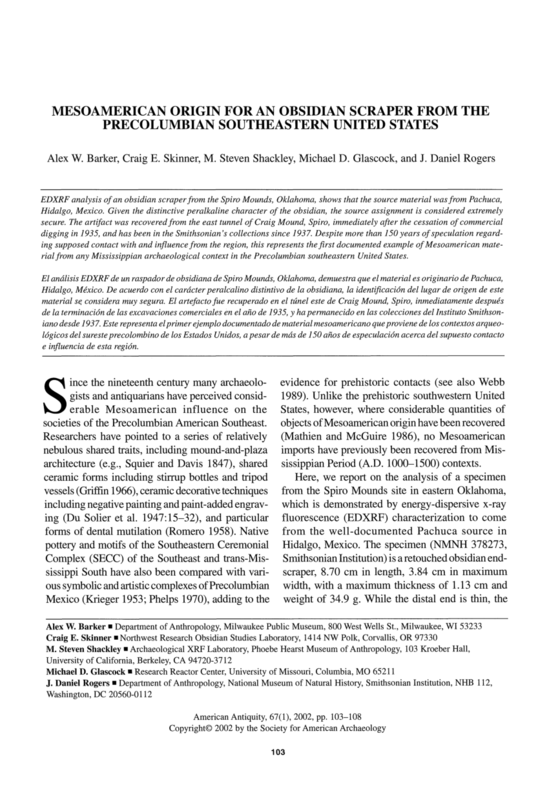 Roper Long-Distance Obsidian Traffic in Northwestern Argentina by Hugo D. Glascock, PhD, is a senior research scientist and group leader at the University of Missouri Research Reactor Center. More important than the use of analytical technique employed or the types of artifacts studied are the interpretations themselves which illustrate that exchange studies are maturing and helping archaeologists to develop more accurate models of exchange. Introduction: Geochemical Evidence for Long-Distance Exchange by Michael D. . Clark, and Hector Neff Exploring the Landscapes of Long-Distance Exchange: Evidence from Obsidian Cliffs and Devils Tower, Wyoming by Brian Leigh Molyneaux From Loess Plains to High Plains: The Westward Movement of Upper Republican Pots by Anne M. Perttula Production and Long-Distance Movement of Chupadero Black-on-White Pottery in New Mexico and Texas by Darrell G. Roper Long-Distance Obsidian Traffic in Northwestern Argentina by Hugo D.
Perttula Production and Long-Distance Movement of Chupadero Black-on-White Pottery in New Mexico and Texas by Darrell G. Glascock Centrality and the Collapse of Long-Distance Voyaging in East Polynesia by Marshall I. Escola, Marisa Lazzari, and Fernando X. Glascock Indigena Ware: Spain to Valley of Mexico by Enrique Rodriquez-Alegria The Emergence of market Economies in the Ancient Maya World: Obsidian Exchange in Terminal Classic Yucatan, Mexico by Geoffrey E. Escola, Marisa Lazzari, and Fernando X. Clark, and Hector Neff Exploring the Landscapes of Long-Distance Exchange: Evidence from Obsidian Cliffs and Devils Tower, Wyoming by Brian Leigh Molyneaux From Loess Plains to High Plains: The Westward Movement of Upper Republican Pots by Anne M. Glascock Centrality and the Collapse of Long-Distance Voyaging in East Polynesia by Marshall I.